With NoveList Plus, find new fiction and nonfiction books to enjoy based on an author, title, or topic in which you are interested. Book discussion guides, feature articles, and read-alike recommendations are also available. 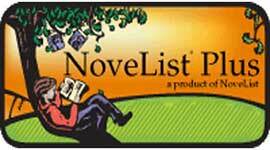 NovelistPlus is freely available inside the Library. For home access, contact the Reference Desk for special login instructions.